This November, the Safety Association of Saskatchewan Manufacturers (SASM) announced a new partnership to become the licensed distributor of AlertMeter in Canada — revolutionary software aimed at proactively identifying workplace fatigue and impairment. AlertMeter is a non-invasive tool to ensure employees are fit for daily duty. At the start of each shift, employees in safety-sensitive environments take an on-screen test that lasts between 60 – 90 seconds. This quiz incorporates puzzles to measure a worker’s ability to classify various geometric shapes quickly and accurately. The system then compares the results to each individual’s past baseline performance, and uses advanced predictive analysis to detect impairment from a variety of sources, including lack of sleep, emotional stress, or drugs and alcohol. Any anomalies trigger a second test, and — if they still exist —an instant alert to both the user and his or her direct supervisor. SASM Executive Director Ken Ricketts believes the software has the potential to save lives by focusing on prevention opposed to response. AlertMeter was originally designed in the United States, and was first adopted by the mining industry in South Africa four years ago. The system is now owned by Colorado-based company Predictive Safety SRP Inc., and has received development funding through the U.S. National Institute of Occupational Health and Safety, as well as through the National Institute of Health. While manufacturing is understandably his primary focus, Ricketts maintains the system — which can be accessed from any personal computer, tablet, or smartphone — has applications in other industrial sectors on the Prairies, too, from construction to oil and gas. What types of companies currently use the system? 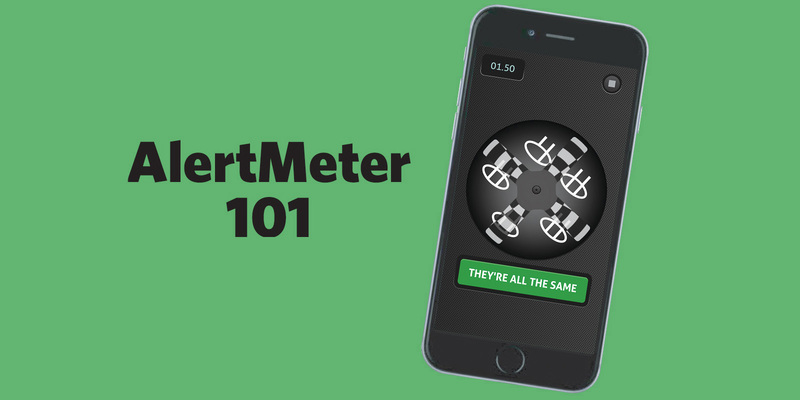 There have been more than 50 million worker hours tracked using AlertMeter. The largest users are mining giant Anglo American and consumer goods manufacturer Unilever, although many user firms have fewer than 100 employees. Does this replace pre-employment testing? Pre-offer and pre-employment testing indicate whether a worker has used a drug at some indeterminate past date, and do not indicate a level of current impairment. Therefore, these tests can remain in place if the employer feels they are necessary. Should AlertMeter be used as a top-level indicator post-incident? No. After an incident, due to adrenalin, shock, and other factors, it is unlikely that a worker will test within the parameters set in the system. Why aren’t there more systems like this? Systems to test alertness and impairment were first developed in the late 1990s, primarily in the study of sleep deprivation. They, however, took more than 10 minutes to complete. The advent of smartphone and touchscreen tablet technology, coupled with Predictive Safety’s software, has shortened the time required, making it more suitable for workplaces. Is the system secure? Could there be a data breach? The only personal data in the system is the employee’s name, the name and at-work email address of the employee’s supervisor, and the company name. No other personal data is required. If the organization uses employee numbers, the employee’s name can even be omitted from the data. The system uses Microsoft’s Azure security system, and the servers are located in Canada.